Anthony Burrows was born in 1942 in in Exeter, Devon. He started singing in the mid 1950's and formed The Kestrels, a vocal trio from Bristol (which also included the future songwriting team Roger Greenaway and Roger Cook). 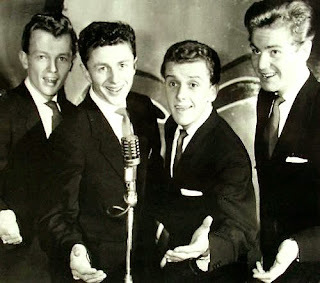 The group had been established in 1958 became professional in the early 60s when they regularly sang back-up behind Lonnie Donegan, Joe Brown, Billy Fury, Eden Kane, and Benny Hill They made many television appearances and twice toured with 'the Beatles' before they broke up in 1964. The Kestrels did record several singles but all failed to chart. 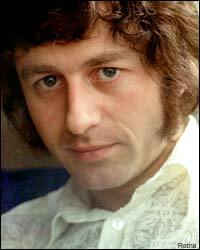 Tony Burrows recorded his debut album in 1965 under the pseudonym Tony Bond. However, the album failed to attract much attention. Tony replaced John Carter in The Ivy League and the trio released a couple of albums, Sounds of the Ivy League (1967) and Tomorrow is Another Day (1969). After John Carter and Ken Lewis left the Ivy League and recorded "Let's Go To San Francisco" with a group of session musicians and singers. They released it under the name the Flower Pot Men and it reached number 4 in the UK singles charts. Tony Burrows and Neil Landon were drafted in from The Ivy League to join the touring version of The Flower Pot Men. The sound captured the mood of the moment and featured a rich, three-part vocal harmony. The name The Flower Pot Men was derived from the BBC children's show Flower Pot Men, with the obvious psychedelic era puns on flower power and "pot" (cannabis). In the US, they were commonly deemed The Flower Men on radio airplay to avoid the drug reference. 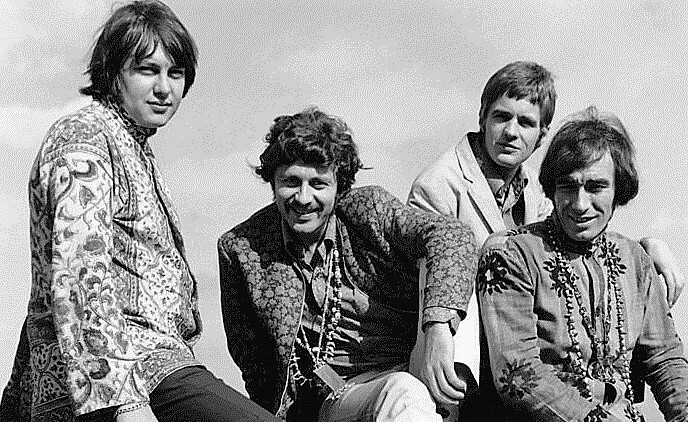 The band failed to recapture their initial success and broke up in 1969. The line-up of the Flower Pot Men had changed considerably by then, but the three singers stayed with Roger Greenaway and metamorphosed into White Plains. White Plains was a studio project led by John Carter. They recorded on the Deram Records label and were made up of an ever-changing line-up of musicians. 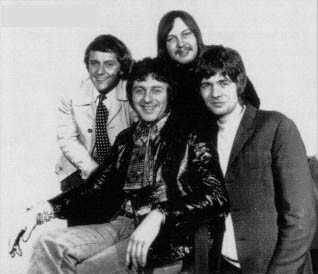 The band's songs were mainly produced and written by Greenaway and Roger Cook and the original line-up consisted of Tony Burrows, Pete Nelson, and Robin Shaw together with Neil Landon (who went to Fat Mattress). The group had five UK hit singles, starting with "My Baby Loves Lovin'” in 1970. Tony would be lead singer in the studio, then others, like Robin Shaw, might appear in the promotional video. He was a busy session singer and might not always be available but did appear with the group on Top of the Pops. Tony Burrows, left White Plains after the 1969 recordings. Edison Lighthouse was formed in 1970 by Tony Macauley. The original studio line-up was Tony Burrows (lead vocalist), Stuart Edwards (lead guitar), David Taylor (bass guitar), George Weyman (drums), and Ray Dorey (guitar). The delightfully catchy and upbeat, "Love Grows (Where My Rosemary Goes)" became an international top ten hit. 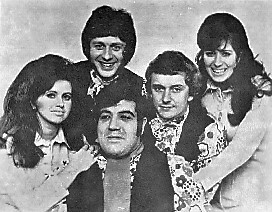 The only time Tony Burrows was seen performing with the group was in television appearances. Tony Burrows left after "Love Grows", and was replaced by singer Paul Vigrass. 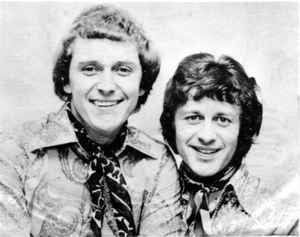 Tony Burrows joined Roger Greenaway and producer John Burgess to sing lead on "Gimme Dat Ding," credited to the Pipkins. The novelty song had a jaunty 1920's-style ragtime swing to it and reached No. 6 in the UK Singles Charts, No. 7 in Canada (RPM Top Singles), and No. 9 on the US Billboard Hot 100 chart in 1970. It proved a one hit wonder. In the States The Pipkins' album Gimme Dat Ding, (1970) was a split album released jointly with The Sweet, with The Sweet on side 1 and The Pipkins, on side 2. Tony Burrows accomplished a remarkable feat in 1970 when he was lead vocalist for a trio of hit songs by three different bands. All enjoyed chart success simultaneously and had two of his bands on the same episode of Top of the Pops (BBC) four times between 29 January and 26 February 1970. Appearing alongside Edison Lighthouse (Love Grows (Where My Rosemary Goes) on the shows were Brotherhood of Man (29-01-70 and 19-02-70) and White Plains (12-02-70 and 26-02-70), with "United We Stand," and "My Baby Loves Lovin'" respectively. Once the producers realised what had happened he was unofficially blacklisted by the BBC. Whilst this affected his solo career he did appear again on "Top of the Pops" a few weeks later singing lead vocals on "Gimme Dat Ding" by the Pipkins. Burrows, Nelson, and Shaw met again in 1974 in First Class, another John Carter project that scored worldwide with their single, "Beach Baby". The song was a homage to the Beach Boys but in the harmony phrase shortly before the fade out, there is reference to "Let's Go to San Francisco". The session singers had no interest in undertaking live performances so John Carter recruited 5 other musicians to perform most live appearances. Members of the "live" band never appeared on any of the band`s studio recordings. Tony Burrows continued to work under various group names throughout the 70s, in association with Chris Arnold, David Martin, Sue and Sunny, and Geoff Morrow. He sang lead with Domino (Have you had a little happiness) , Magic (Never Gonna Fall In Love Again), The Original Cast and Friends (Better Fly Butterfly), among others but without chart success. His solo singles received little to no radio airplay, with only "Melanie Makes Me Smile" proving to be the lone minor hit in the US. Despite this Tony remained in high demand as a session singer for other successful acts including: Elton John's early-'70s albums (especially Madman Across the Water), as well as Cliff Richard, James Last, Rod Stewart, and Tom Jones. It is estimated Tony Burrows sang harmonies on 100 top 20 hits in the 1970s. He later moved into writing and producing TV commercials, and in the 1990s, appeared in Germany as part of a revived/updated version of the Flower Pot Men. Tony Burrows still continues to sing and perform in concert with a reformed version of White Plains.